Are you looking for a riflescope that can dramatically enhance your hunting expeditions? If you answered yes to this question, then be introduced to the Nikon PROSTAFF 5 BDC Riflescope – a riflescope that is widely regarded as one of the most popular riflescopes on the market. 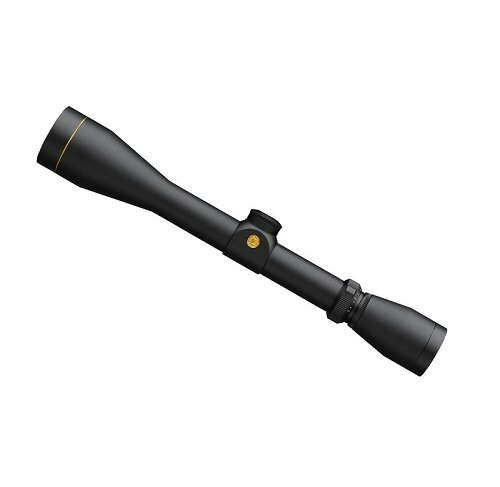 This scope comes equipped with numerous features that endear it to so many hunters across the globe. In this Nikon PROSTAFF 5 BDC Riflescope, Black, 3.5-14×40 review, we shall focus on the PROSTAFF 5’s major features, its pros and cons as well as some of customers’ most commonly asked questions. At the end of this review, we hope the information we provide about the PROSTAFF 5 will be sufficient enough for you to decide for yourself whether you need this product or not. 1.10.1 Q. Who are the manufacturers of the PROSTAFF 5? 1.10.2 Q. Does the scope come with a mounting kit? 1.10.3 Q. What is the scope’s eye relief? 1.10.4 Q. What is the diameter of the PROSTAFF 5’s objective lens? 1.10.5 Q. Can I use this scope while wearing my eye glasses? 1.10.6 Q. Does the scope come with a warranty? One of the most outstanding features of the PROSTAFF 5 is the Nikon patented BDC (Bullet Drop Compensation) reticle that it is engineered with. This renowned BDC reticle comes with excellent see-through ballistic circles that offer you great advantage when it comes to long range shooting. It is common knowledge that one of the biggest challenges encountered by many shooters in the field is trying to hit a target at long distances. A number of things can prevent you from making long-range shots that are accurate. Some of these things include the wind, the target being too small and gravity pulling the bullet down. But thanks to the Nikon BDC reticle, these challenges can be surmounted. The BDC reticle works in conjunction with Nikon’s renowned Spot On Ballistic Match Technology and Nikon SpotOn Software to allow for compensation for bullet drop, without any tough calculations or guesswork. This is very important since it not only saves you from doing challenging calculations and guesses but it also saves you a great deal of time while at the same time providing you with very accurate bullet trajectory calculations before you pull the trigger. This very useful feature not only allows you to enjoy accurate long-range shots but it also allows you to shoot accurately at your target through obstacles such as thick bush. A number of scopes on the market are engineered in such a way that they make it difficult for the shooter to instantly bring the reticle into focus. But the PROSTAFF 5 isn’t engineered this way. The PROSTAFF comes with an excellent Quick Focus Eyepiece whose primary role is to give the shooter the opportunity to bring the scope’s reticle into focus. Sight in the normal way you do. Raise the spring-loaded adjustment knob. Rotate until you have reached your “zero”. The scope comes with fully multi-coated optics, which means that the surface of its lens has multi-layer coatings. As a result of its fully multi-coated optics, it transmits light in a very efficient and optimum manner, thereby providing images that are bright and vivid regardless of the time of the day. Even in low light conditions such as during dawn and dusk, you can count on the PROSTAFF 5 to provide you with very clear and crisp images. Another neat feature that PROSTAFF 5 proudly comes with is four inches of eye relief, which in addition to being very generous (long) is also consistent. This very important feature comes with a number of advantages to the user, including protecting the user’s brow from being injured by rifle recoil and allowing for the user to enjoy a clear field of view – whether he or she wears spectacles or not. Even in the most extreme of shooting angles, the four inches of constant eye relief will offer the user with unprecedented comfort. It comes with a BDC reticle. It provides images that are crystal clear thanks to its fully multicoated optical system. The scope has a generous eye relief which comes with a lot of advantage, including saving your eye brow from the painful impact caused by rifle recoils. It comes with a quick focus eyepiece that allows for the reticle to be swiftly brought into focus. It comes with a 4x zoom ratio. It is very durable and at the same time lightweight. It is waterproof, fogproof and shockproof. It comes at a good price, considering all the great features that it offers. It is compatible with Nikon’s renowned Spot On Ballistic Match Technology. The scope would have been better if it came with a mounting kit. Many find the scope’s lens covers not being very helpful in covering the lens. Q. Who are the manufacturers of the PROSTAFF 5? A. It is manufactured by Nikon Vision Co., Ltd, which is one of the most famous names in the optical business in the world. Q. Does the scope come with a mounting kit? A. The scope comes with four inches of eye relief. Q. What is the diameter of the PROSTAFF 5’s objective lens? Q. Can I use this scope while wearing my eye glasses? A. Yes, you can! Thanks to the long eye relief that the PROSTAFF 5 comes with, both non eyeglasses and eyeglasses wearers can use it comfortably. A. Yes! It is backed by a lifetime warranty. Having read the Nikon PROSTAFF 5 BDC Riflescope review above, it is clear to see that the scope offers features which only a few scopes in its price class can offer. It is no wonder the scope is very popular in the hunting world. If you are looking for a budget riflescope that comes with a whole lot of amazing features and specifications that will enhance your shooting experience, the Nikon PROSTAFF 5 BDC Riflescope may well be an excellent choice for you.